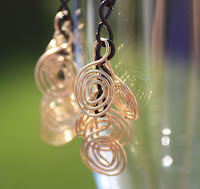 Heesen Jewellery: a blog about jewellery and other artistic endeavours by Erika Heesen: Midnight Market this Sunday! If you're in the Toronto area this Sunday, be sure to swing by the Augusta House in Kensington Market for the Alt's Midnight Market. I'll be there with my jewellery, along with some other awesome artists, crafters and performers! It's going to be a great night of craft and dance, and it's also to raise money for the Alt Space. So mark the day, and I'll see you there!